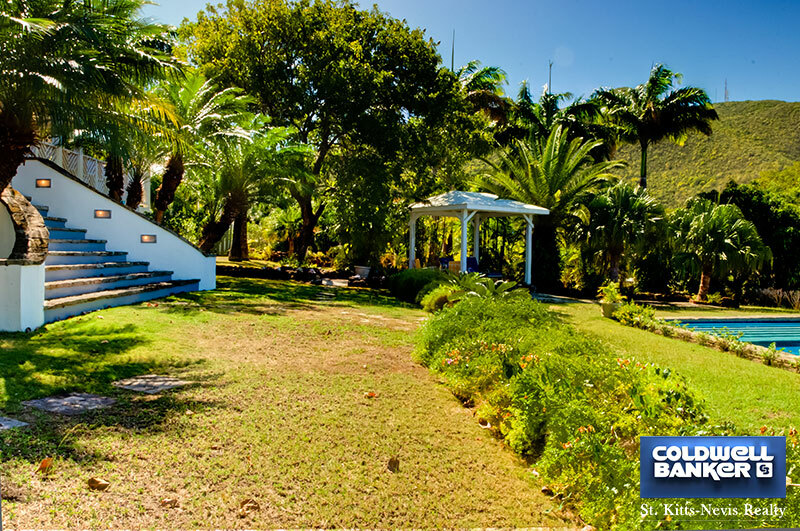 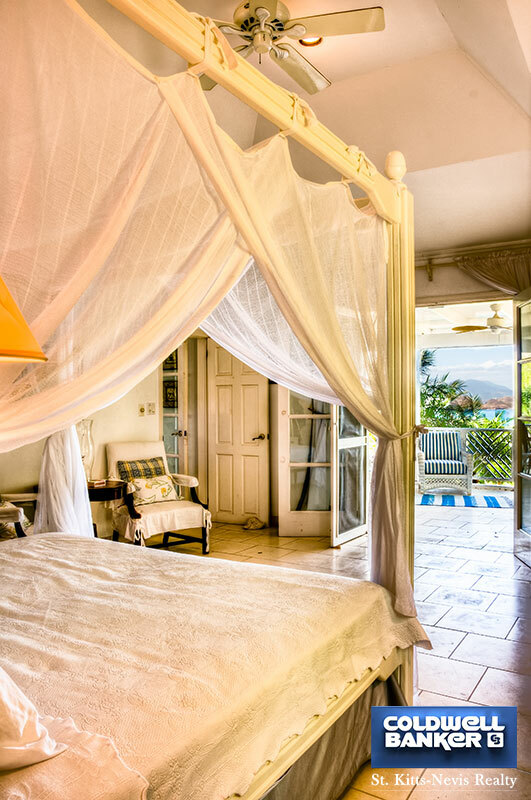 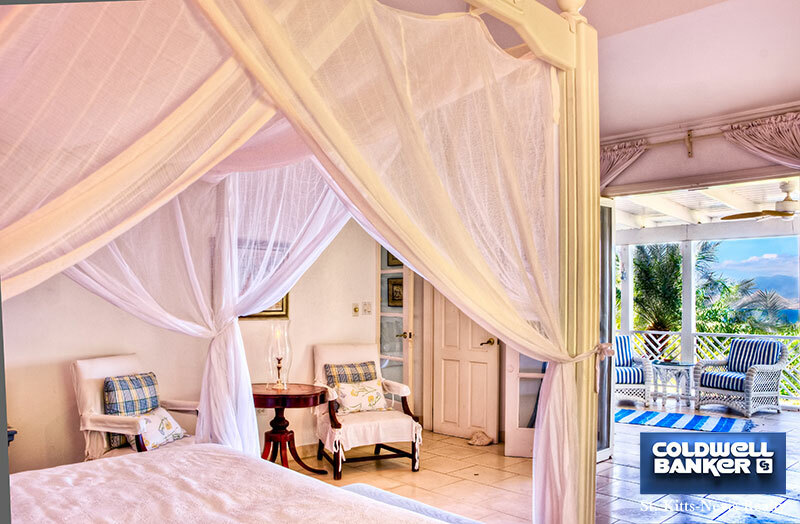 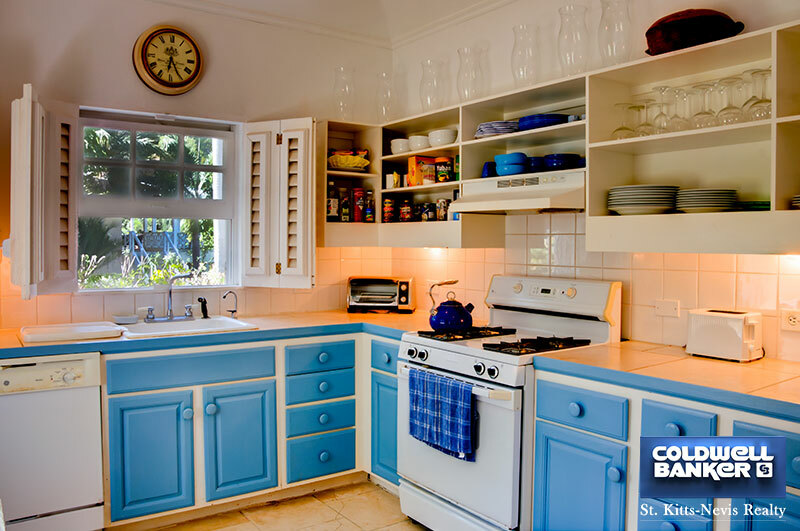 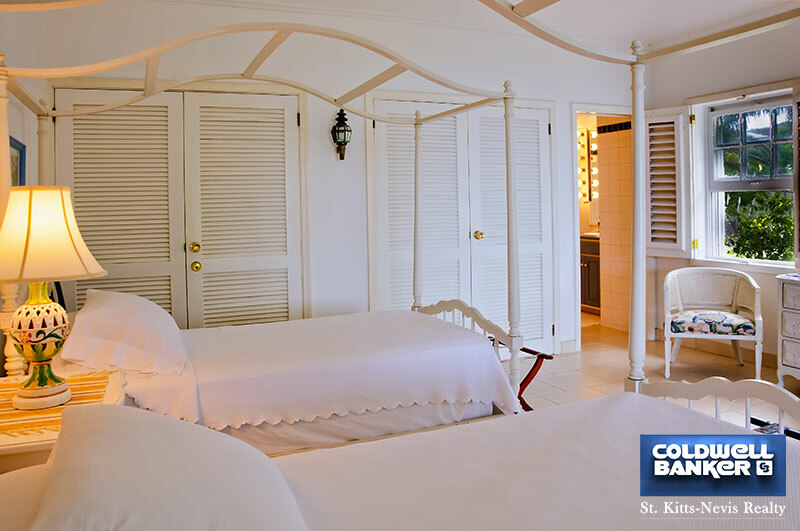 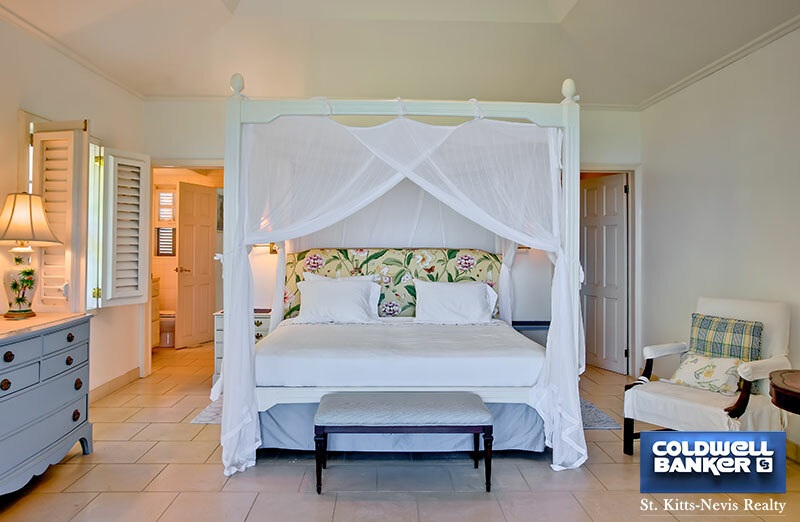 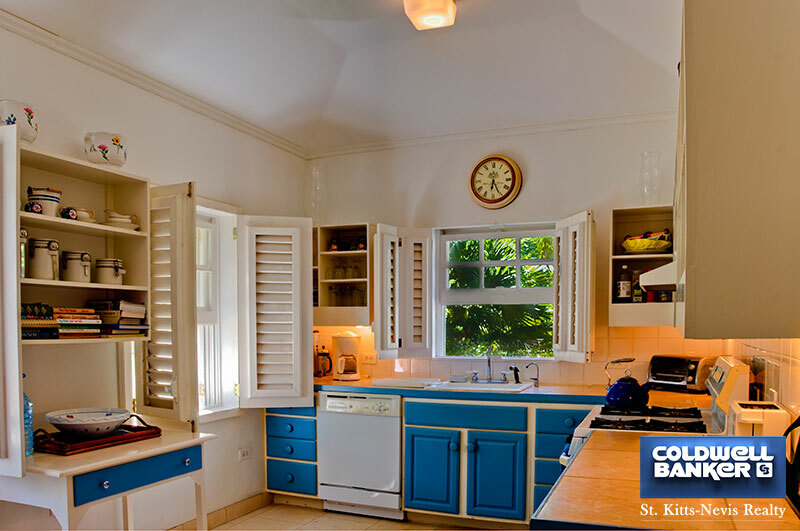 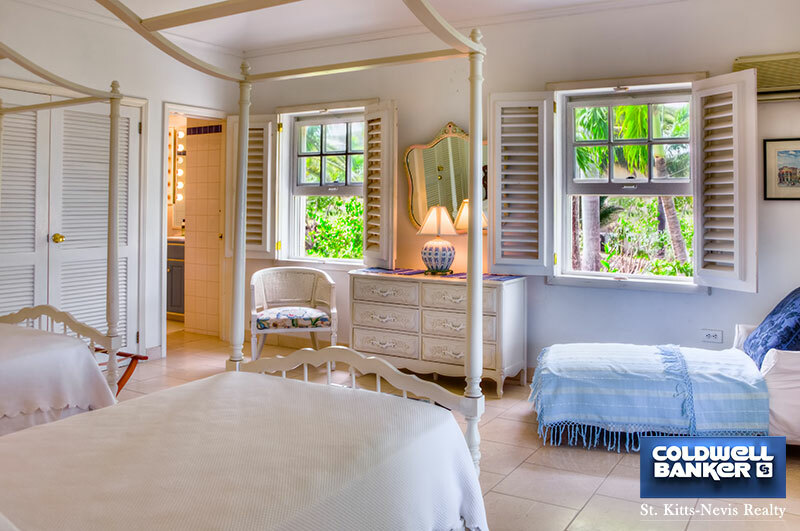 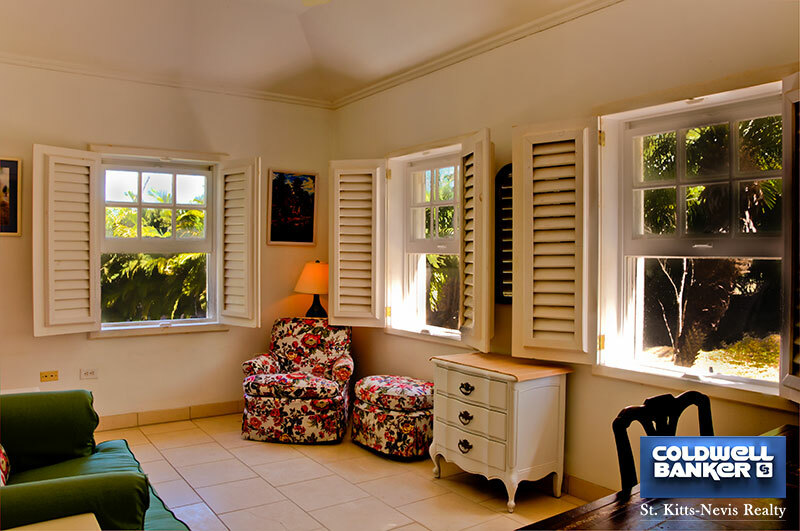 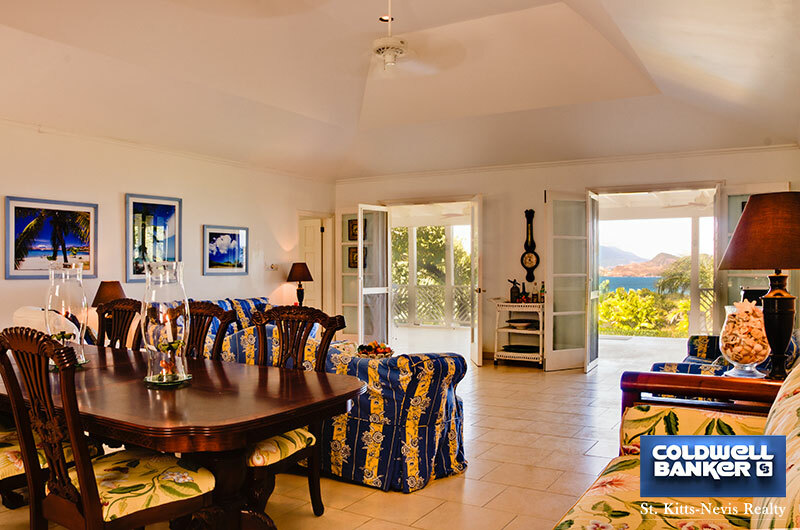 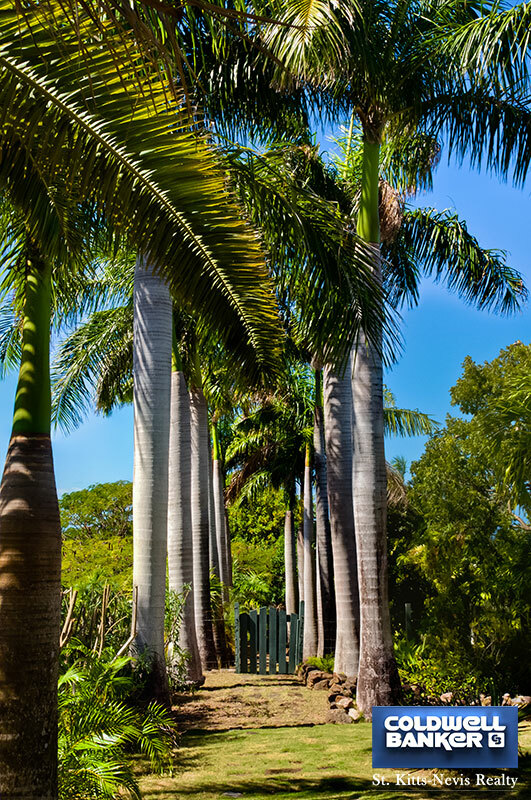 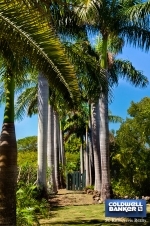 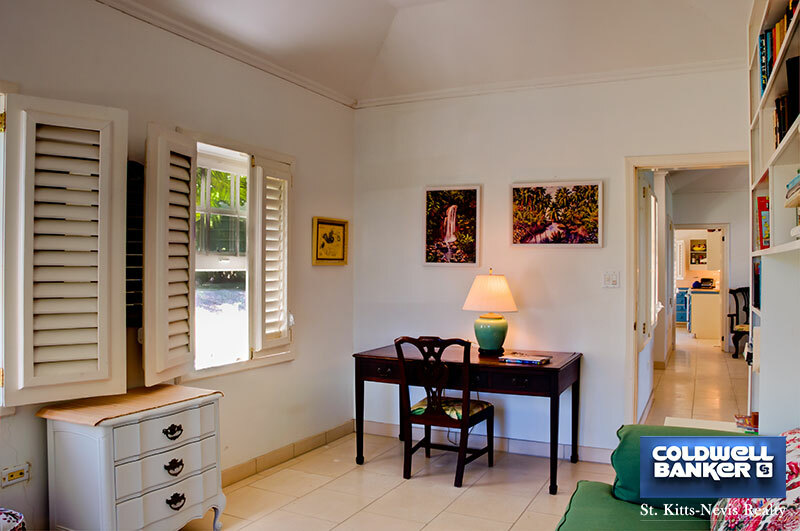 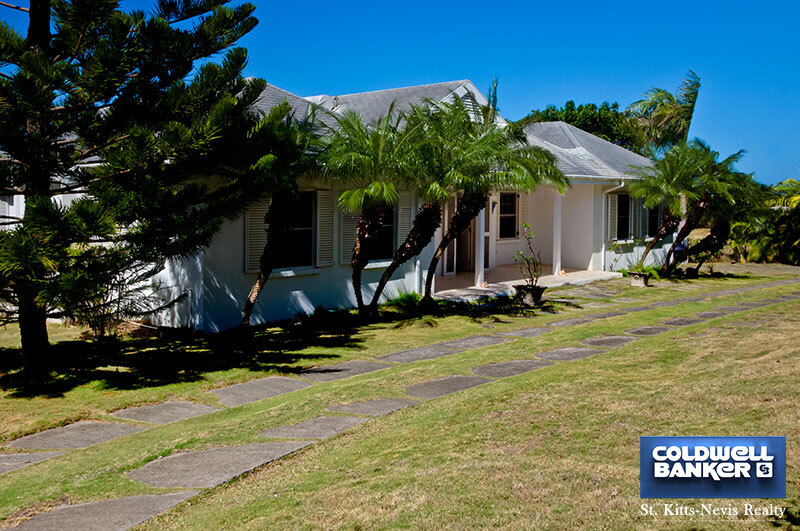 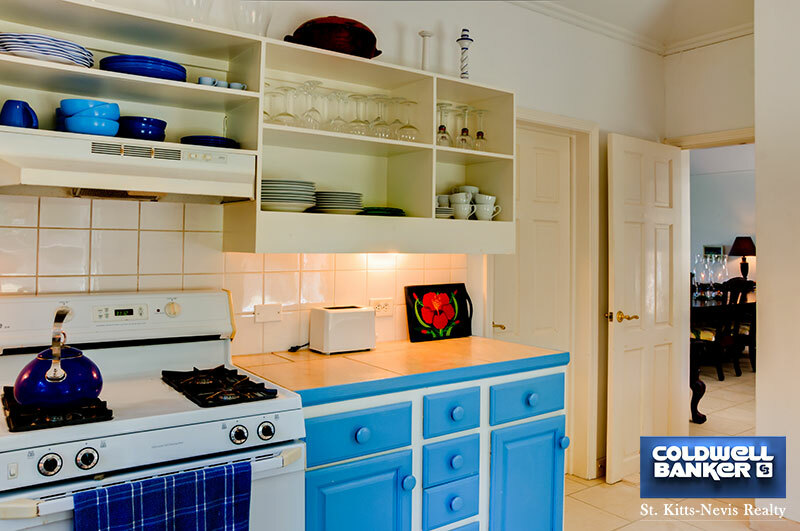 This lovely property is located adjacent to the prestigious Mount Nevis Hotel with easy walking distance to the restaurant. 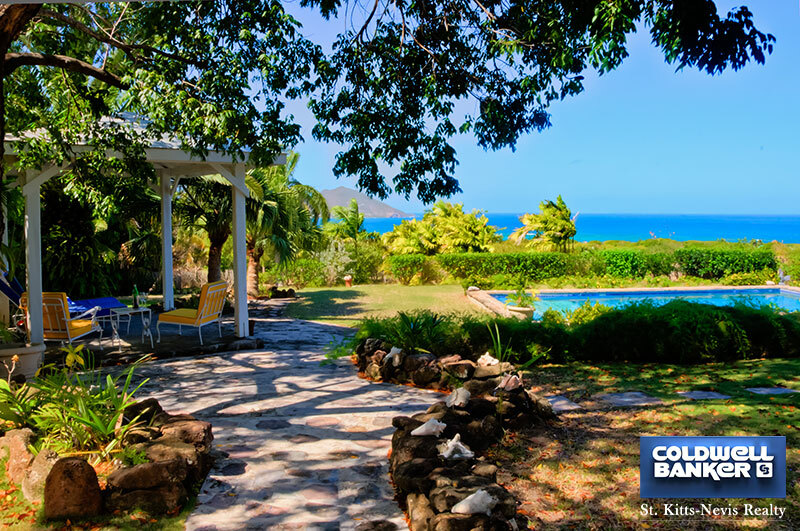 Situated at an elevation of about 200 feet above sea level, the house has a stunning view of the neighbouring island of St Kitts over the waters of the channel between the two island. 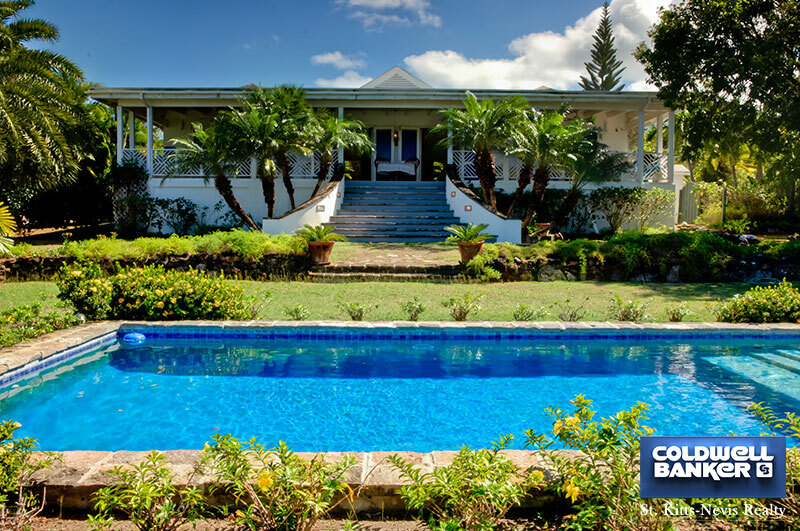 From the verandah a sweeping staircase leads to the pool area. 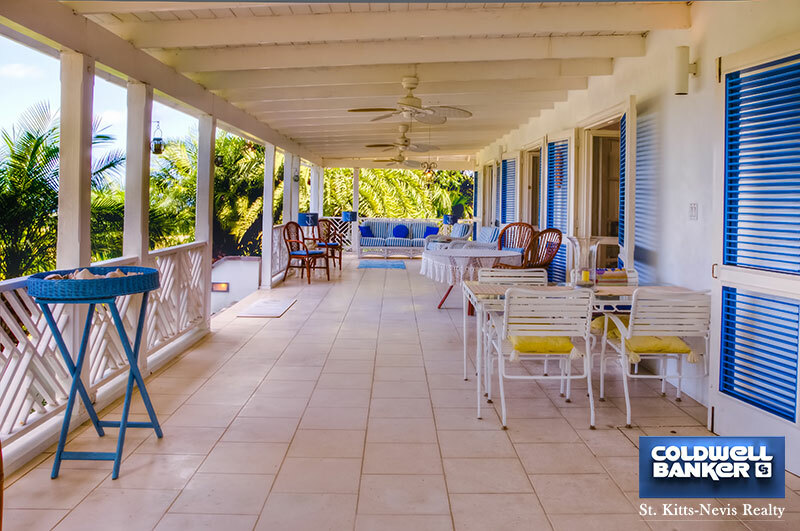 The Large Verandah facing the view of St Kitts provides a perfect Caribbean outdoor living area. 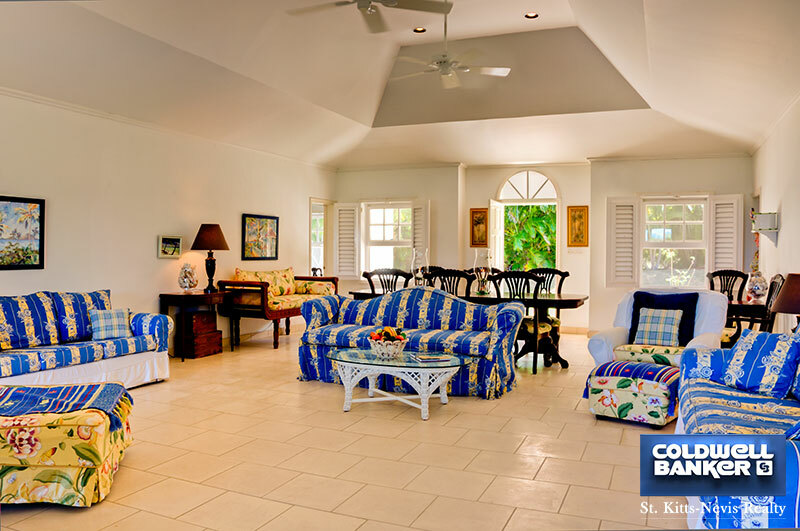 The interior of the house is spacious with a large living room, kitchen and two ensuite bedrooms. 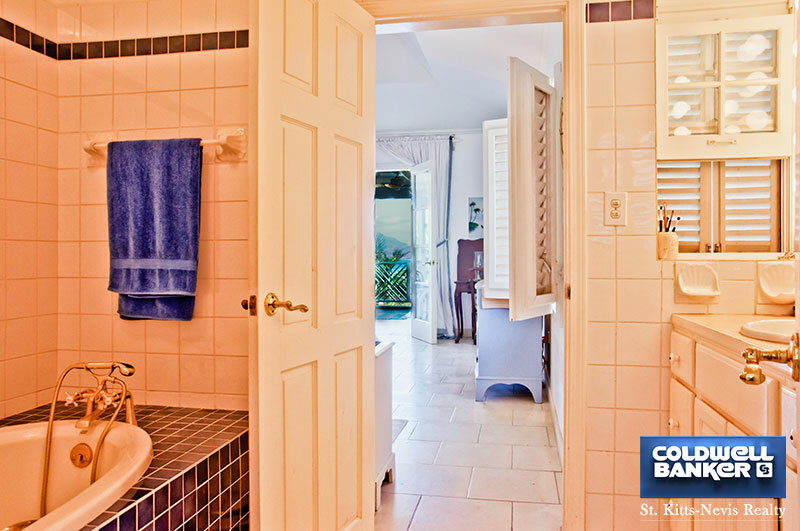 Back up water supply from roof collection cistern.